Gilded bronze clock, decorated with a beaded rim around the dial. The dial is surrounded by leaves and flowers, which come back in the base. A one week movement with schaargang. The clock strikes on the whole and half hours. On the dial the day and date are indicated by different hands. 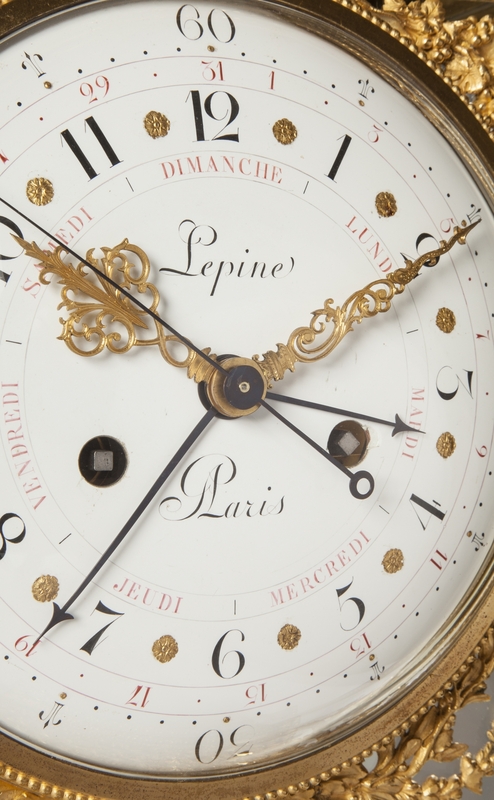 The enameled dial is signed “Lepine Paris”. 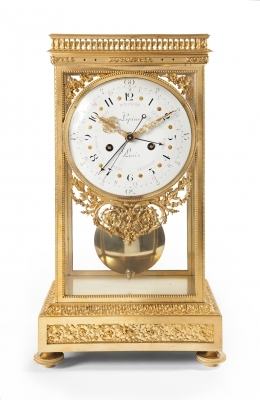 Jean-Antoine Lépine (1720-1814) is considered one of the best French clockmakers. In 1793-94 “Maison Lépine” was being handed over to his son-in-law Claude-Pierre Raguet and after his death in 1810, his son Alexandre Raguet-Lépine continued with the business. Jean-Antoine Lépine remained active till his death in 1814. 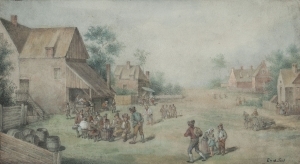 Afterwards, the business was sold to Jean Paul Chapuy in 1815. 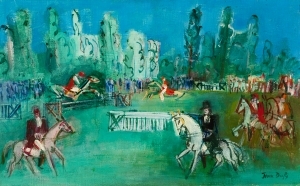 In 1827 it was sold to Deschamps from whom it was taken over by Fabre (Favre) in 1832. In 1853 Boulay took over the business. Then several acquisitions followed, but always the name Lépine was used in production. 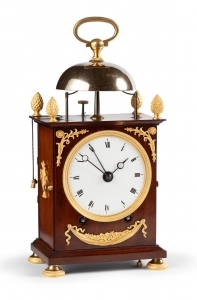 This includes the fabrication of the before-mentioned pendule cage around 1850.